The World Is Moving on to Android.Why No You?Get Your Path to Greatness. Android is the operating system which is spanning all across the world like forest fire. Android OS is based on the Linux kernel and is currently developed by Google. It is particularly designed for mobile phones having touchscreen such as smartphones and tablets. This is most widely used and implemented OS not only in cellphones but also in cars and Android TVs. Taking into consideration such a huge popularity of Android, every company must have their Android products in the market so that it can have solid and permanent existence in the market.Skycon has a number of Android products in the market which are having great popularity among the users for Android mobile phones and not only in India but also across the whole globe. This has made us recognize ourselves not only among those companies who are developing good quality Android phone apps but also among those who want to excel and develop their career as an Android developer. Android comparatively has a low barrier to entry. Android provides freely its Software Development Kit (SDK) to the developer community which minimizes the development and licensing costs. 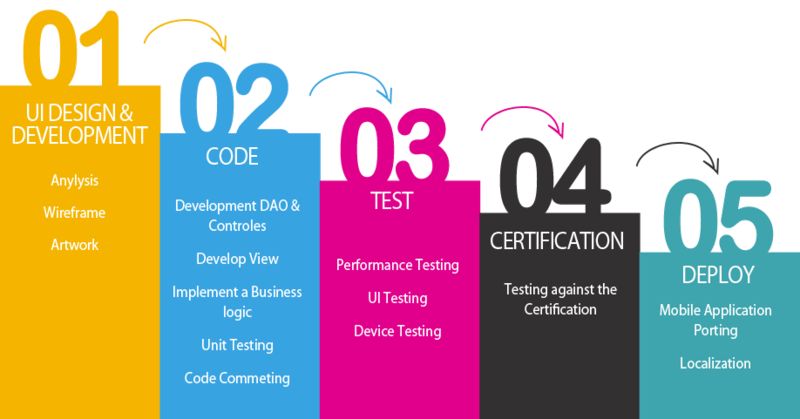 The development costs can be divided into three stages: Stage#1 – application development, Stage#2 – testing, and Stage#3 – hardware cost for testing and deploying the android mobile application. Are you looking for complex technical customization and integration of a web application or just a smartphone application you already have? Yes. Then an android app can be the right solution for you. The entire platform is ready for customization. You can integrate and tweak the mobile app according to your business need. Android is the best mobile platform between the application and processes architecture. Most of the platforms allow background processes helping you to integrate the apps.. Unlike other mobile platforms, Android applications can be deployed in different ways. You do not have to rely on a single market to distribute your applications. You can use third-party application marketplace (especially in Google Android Market), but you can also form your own distribution and sales channel: applications for vertical markets, to develop new application stores, and also place it on your website. You build it, you publish it. With your choice of promotional strategy, you can reach your end users through multiple channels.